Once you know about the pesticides, colorants, and other chemicals in farmed salmon, you kind of lose your appetite. Which led us to a simple ad strategy for this campaign: just the facts (okay, maybe with a touch of sarcasm). 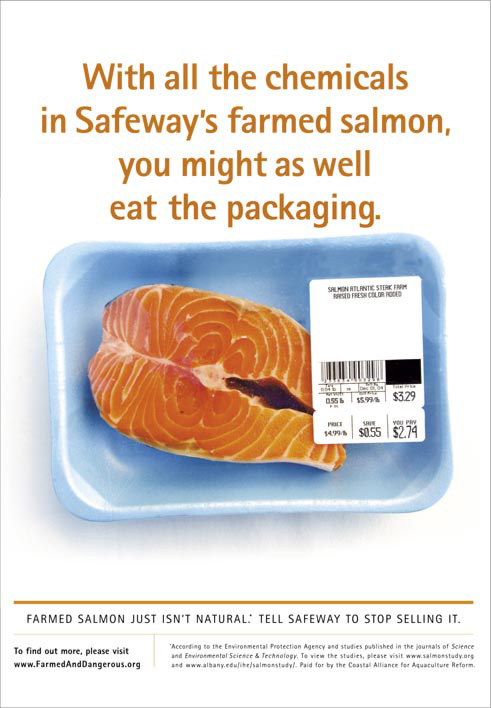 I worked with an art director for the concept and wrote the copy for this ad that grabbed the attention of the targeted retailer, and informed consumers that farmed salmon isn’t the wonder food it’s made out to be.